FITOK Group is an industry-leading developer and manufacturer of superior high-quality instrumentation valves and fittings. FITOK Group has R&D centers, manufacturing facilities, warehousing and service locations in Offenbach Germany, Texas USA, Shenzhen China and Dubai UAE. 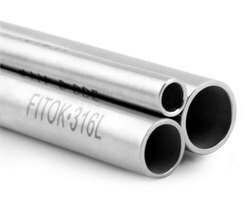 FITOK Group is capable of manufacturing 4 different product categories, including: General Instrumentation Valves and Fittings, Medium & High Pressure Valves and Fittings, High Purity & Ultra High Purity Products, and Sampling Systems. Size Sizes available from 1/4" to 2"
Tube O.D. 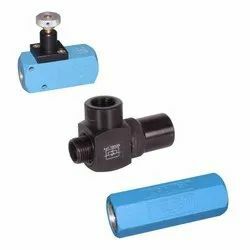 T available from 1/4" to 2"
To meet the exact demands of customers as a supplier, trader, wholesaler, distributor and retailer, we are engaged in offering a wide range of Bleed Valve. 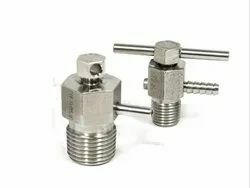 These valves are used to assist in the calibration of control devices and are developed at our vendors' premises using high-grade stainless steel. 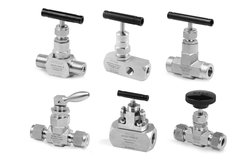 Available in different specifications, these valves are widely demanded across the nation. 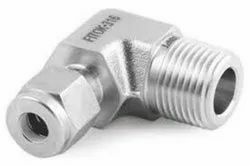 Acknowledged in the industry as a supplier, trader, wholesaler, distributor and retailer, we are engaged in offering a wide range Compression Fitting. 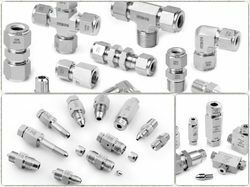 Used for food fluids materials, these fittings are manufactured at our vendors' end using chemical nickel-plated brass and FKM seals. At our packing unit, these fittings are packed properly to avoid damage during dispatch. Our new development Non Return Valve (Jacketed Sandwich type), these valve are having same function as our other sandwich type non-return valve. The jackets are meant to maintain the heating and cooling temperature of the media. These jacketed valves are available in carbon steel and stainless steel variants as well as other variants upon client's requirements. 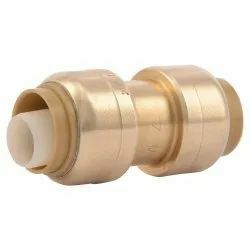 Showing sturdy nature, these Push Fittings are superior in finish and accessible from us in many sizes. 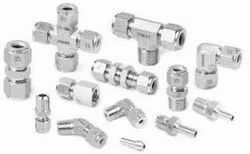 Moreover to this, these tube fittings have longer life and availability in the market in safe form. 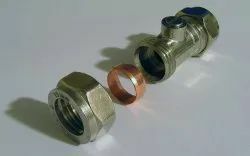 Besides this, offered tube fittings are light in weight and anticorrosive in nature. 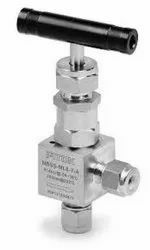 Each FITOK needle valve is tested with nitrogen at pressure rating (max. of 6,000 psig/41.4 MPa) before delivery, and visible leakage is not allowed in any case. The flow gradually shuts-off and opens, assures minimal impact to the system against water hammer effect. Maintenance free flow control and long service time with safe operation. With the body material Stainless Steel the maximum allowable working pressure reaches 6000Psi. For different applications brass, titanium and alloy materials are available upon request. Non rotating lower stem eliminates friction between the stem tip and the seat. 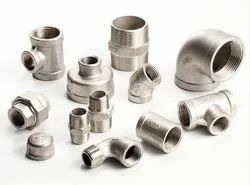 Holding all requisite resources and wide knowledge of this field, we are dedicatedly engaged in providing in the market this Stainless Steel Pipe Fittings. Stud Fittings. Two styles of Studs are available from Pneumadyne to fit your application requirements. 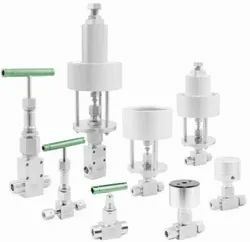 Features the tube fitting has been specifically designed for use on instrumentation, process and control systems, analyzers, and environmental equipment employed in chemical, petroleum, power generation, and pulp and paper plants. A-LOK tube fittings have also been used extensively in other applications and industries wherever high reliability and quality are required. 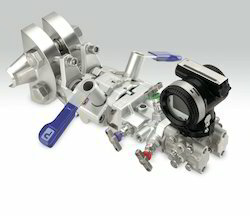 Components are fully interchangeable with Swagelok. 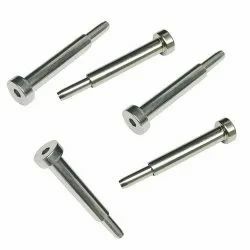 Parker Suparcase Ferrule for corrosion resistance. 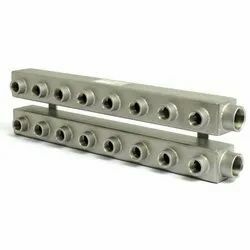 Acclaimed in the industry as a supplier, trader, wholesaler, distributor and retailer, we are engrossed in offering Stainless Steel Manifold. With the aid of modern machinery and technology, installed at our vendors' infrastructure facility, these manifolds are manufactured. In addition, the stainless steel used by our vendors is obtained by them from reliable sources. 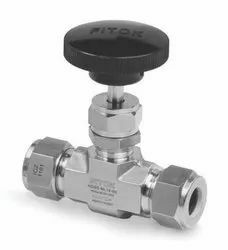 FITOK manually, pneumatically, and electrically actuated two way and three way Ball Valves provide 1/4 turn (or diverting) for on-off control of fluids utilized in process and instrumentation applications. 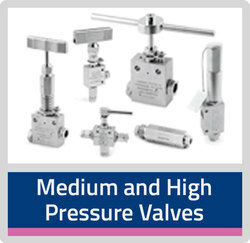 A broad selection of valve body,seat,and seal materials provide a wide variety of pressures and temperatures at which the valve may be used. 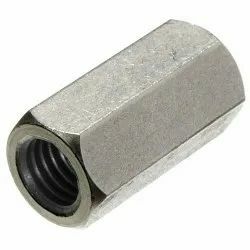 Working pressures: 10,000 ～ 60,000 psi (690 bar ～ 4,137 bar) ;Temperature ranges: -422 ℉ ～ 1,200℉ (-252 ℃ ～ 649℃);Optional material: High Tensile 316 Stainless Steel. 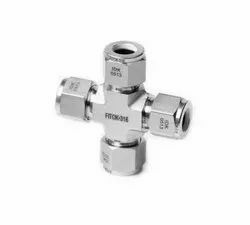 Looking for Stainless Steel Fittings, Tubes and Valves ?